Manhattan District Attorney Cyrus R. Vance, Jr., today announced the indictment of VLADMIR GOTLIBOVSKY, 43, and FELIX GOTLIBOVSKY, 52, on charges related to a June 2015 shooting incident at the Waldorf Astoria hotel. 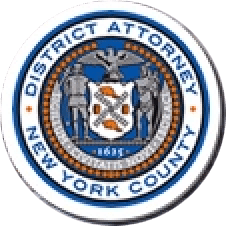 The defendants are charged in separate New York State Supreme Court indictments with one count each of Criminal Possession of a Weapon in the Second Degree and Tampering with Physical Evidence, both felony charges. VLADMIR GOTLIBOVSKY is also charged with six counts of misdemeanor Assault in the Third Degree. According to court documents and statements made on the record in court, on June 13, 2015, the defendants were guests at a wedding being held at the Waldorf Astoria hotel in Midtown. VLADMIR GOTLIBOVSKY was carrying a 9-millimeter Ruger semiautomatic pistol in his pants pocket, for which he possessed a valid permit to carry. At approximately 7:15 p.m., the gun discharged once inside his pocket, striking his right leg, ripping his pants, and hitting the floor. Shrapnel from the bullet injured three additional people, including another wedding guest and two hotel employees. VLADMIR GOTLIBOVSKY and his brother, FELIX GOTLIBOVSKY, then went into the bathroom, where VLADMIR GOTLIBOVSKY gave the firearm to his brother, who was not licensed to carry any firearm, and began to exit the hotel. The gun was removed from the premises. Later that evening, NYPD detectives recovered the firearm from VLADMIR GOTLIBOVSKY’s home. They also recovered ammunition, two empty gun boxes, a holster, and VLADMIR GOTLIBOVSKY’s permit. Assistant District Attorneys Joshua Steinglass, Senior Trial Counsel, and Jasmina H. Ahmetovic are handling the prosecution of the case, under the supervision of Assistant District Attorney Armand Durastanti, Chief of Trial Bureau 40, and Executive Assistant District Attorney John Irwin, Chief of the Trial Division. District Attorney Vance thanked the NYPD, particularly Detective Christopher Jones of the 18th Precinct and Detectives Geneva Eleutice and David Belcher of the Manhattan South Homicide Squad, for their assistance with the case. The charges contained in the indictments are merely an allegation, and the defendants are presumed innocent unless and until proven guilty. All factual recitations are derived from documents filed in court and statements made on the record in court.